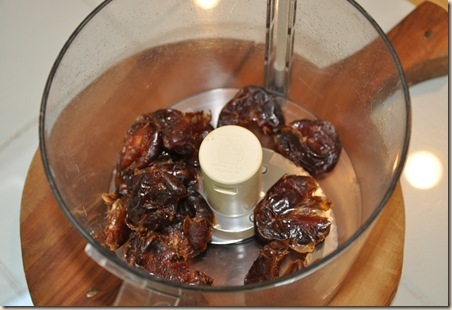 Pulse pitted dates in food processor until it forms a thick, sticky paste. Add dried cherries to the mix and repeat. 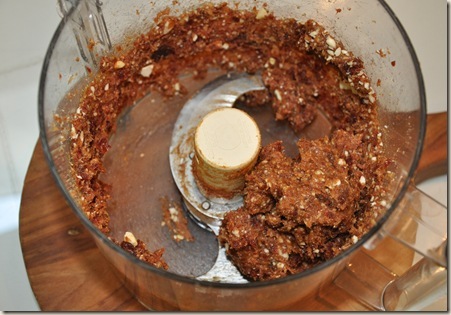 Add almonds, pulse several times–although avoid pulsing too much! 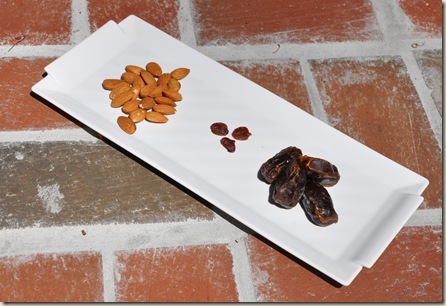 Bigger bites of almonds are nice to have throughout the bars. It should form a sticky ball at this point. Lay out sheet of parchment paper, and several pieces of plastic wrap to cover the individual bars when finished. Your hands will get very sticky when forming the bars–so this is a good idea to do before you remove the paste from the food processor. Remove paste from processor and spread out into desired thickness onto parchment paper. Place in refrigerator for 30 minutes (this will make them easy to cut). Cut into desired bar size/shape. Place in an easy-to-grab container in the refrigerator. 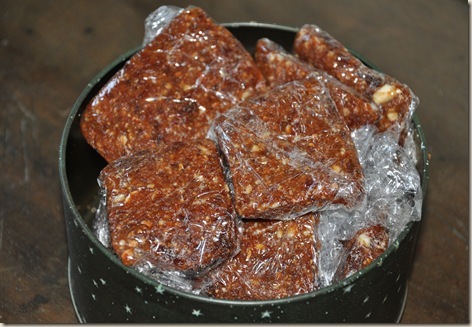 Store-bought Larabars have protective covering to prevent spoilage. However, your homemade versions will need to go in the fridge. Don’t worry about it if you plan on consuming them the day-of. Enjoy! 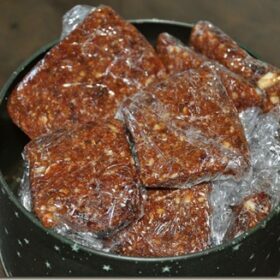 While a bit more sticky (due to the freshness of the ingredients), these homemade bars tasted uncanningly similar to the real deal Cherry Pie Larabars. The recipe possibilities are also endless! You could add spices, such as cinnamon or nutmeg, as well as tons of other combinations of dried fruits–dried apples, prunes, apricots, currants, and nuts–walnuts, peanuts, hazelnuts. Of course, while I cannot say that I will never buy a real Larabar again, these were great and I can’t help but be thrilled that I can make my personal version right at home, while also saving a few bucks at the same time. 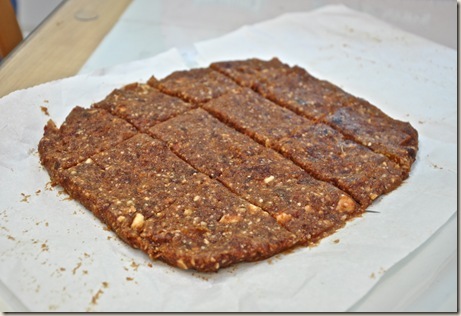 What are your favorite snack bars? Have you ever tried to make your own homemade version at home? Was it a success? I’d love to hear about it!